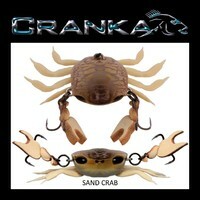 STOCK CLEAR OUT SALE!!! 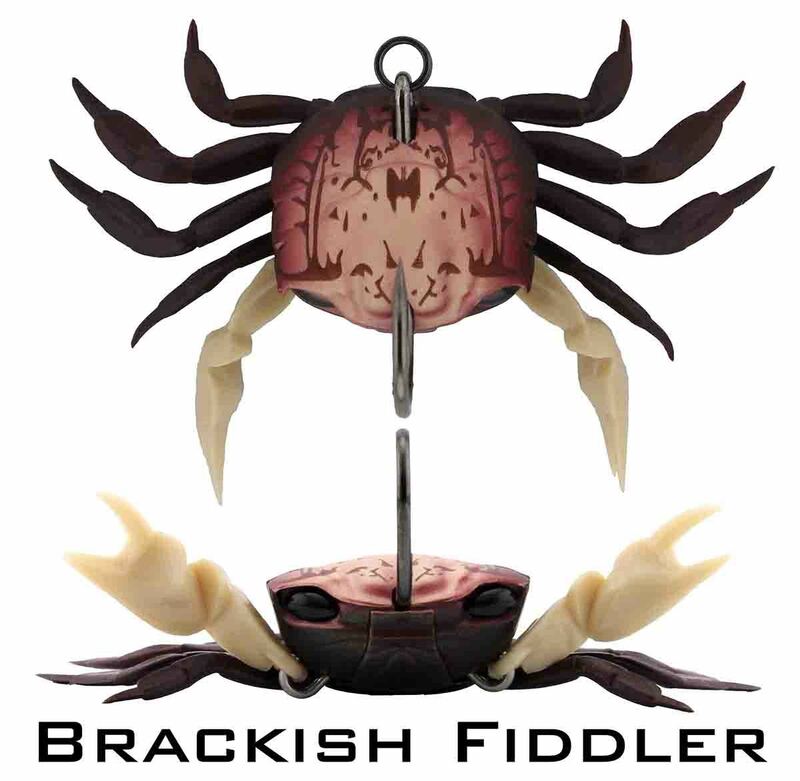 Being replaced by new model. 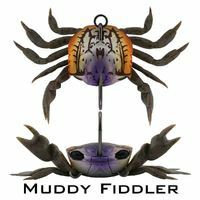 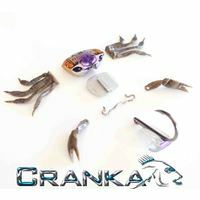 This NEW Larger Single Hook Model CRANKA Crab comes off the back of the success of our original, award winning Treble Hook Model Crab designs. 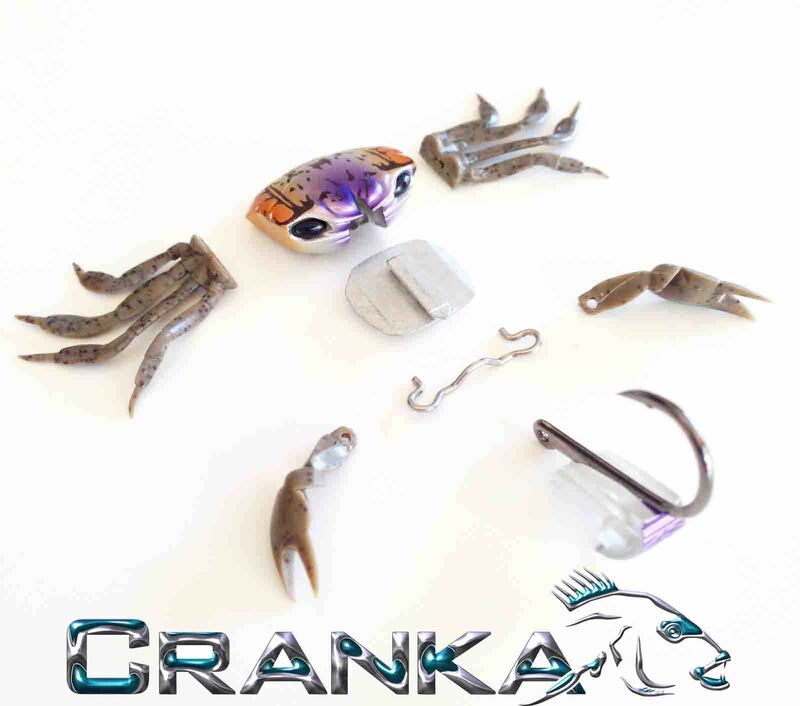 CRANKA customers were calling for a larger Crab profile lure that runs a bigger, stronger hook set for targeting larger fish species such as Redfish, Snapper, Permit, Trevally, etc… So the CRANKA team set about designing this new, unique, modular design Single Hook Model CRANKA Crab! 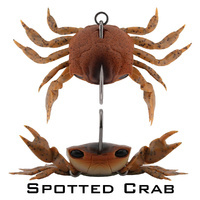 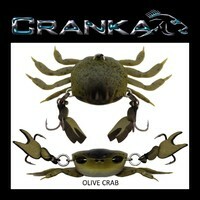 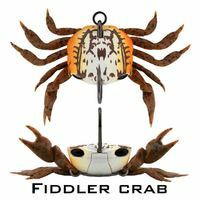 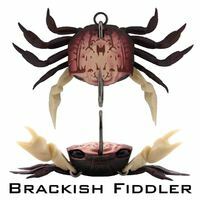 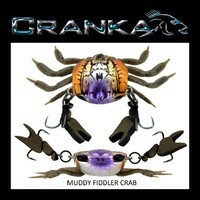 This Single Hook Model CRANKA Crab is a ‘World First’ 100% modular Crab lure design. 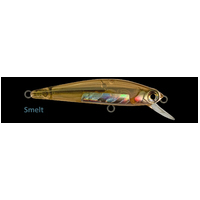 Every component on this lure is fully interchangeable by the end user. 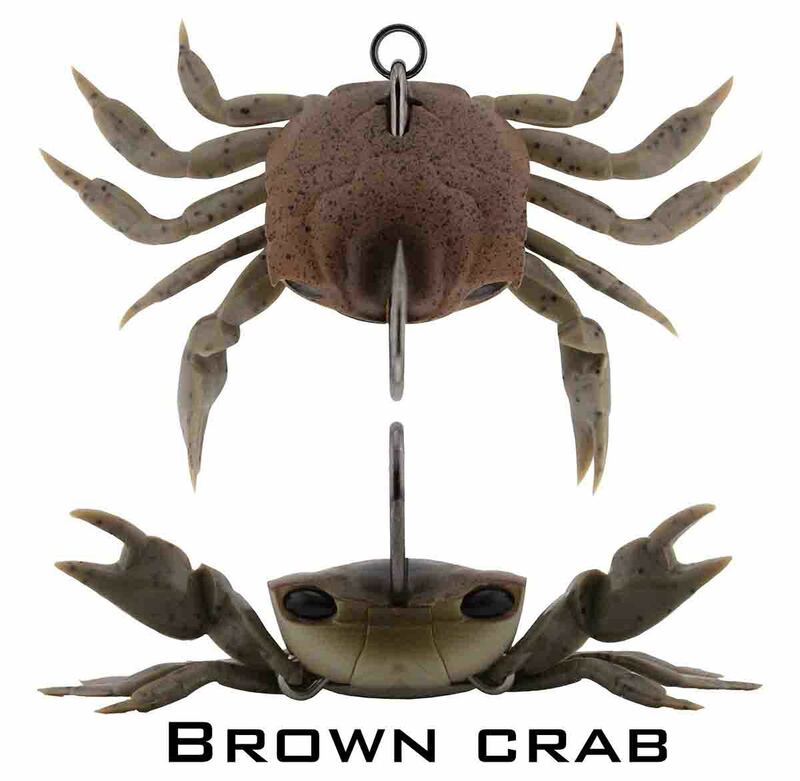 Our Single Hook Crab lure is supplied fully assembled and ready to fish straight out of the packet, it comes packaged in eight different field proven natural Crab colours as standard. 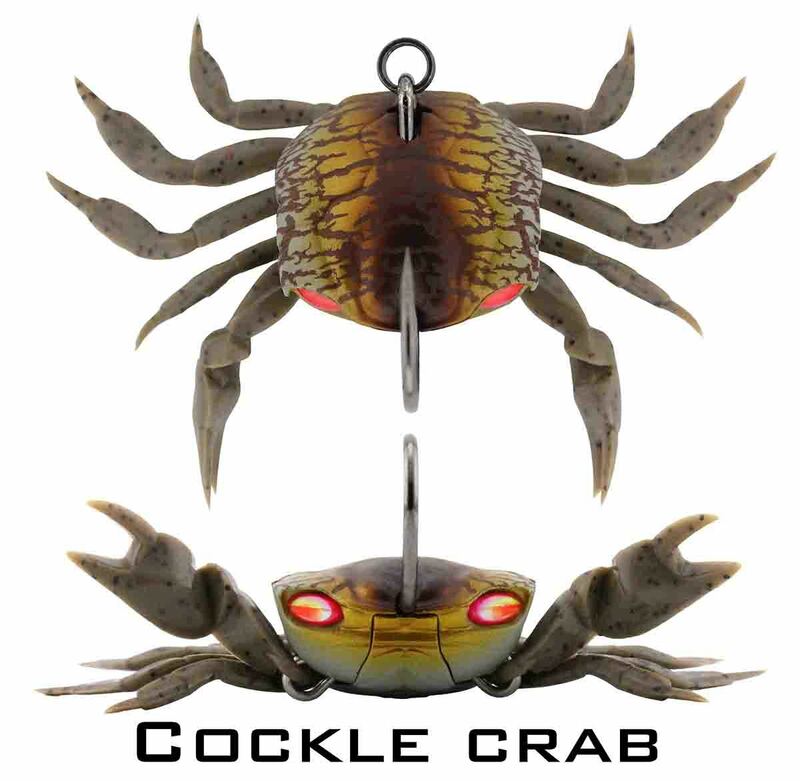 Alternatively, each of our Single Hook Crab lures can be easily pulled down piece by piece, allowing the end user to simple mix and match components between each standard lure colour. 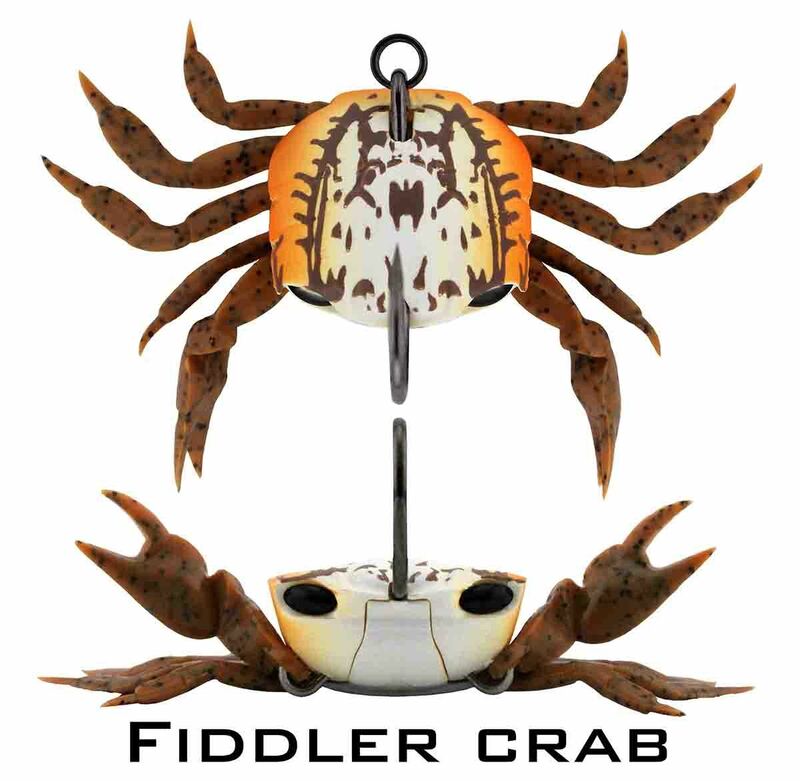 Our unique modular design allows the end user to accurately match natural Crab colours that they may find in the local area that they fish. 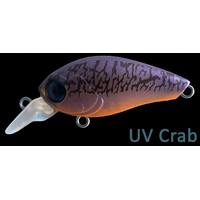 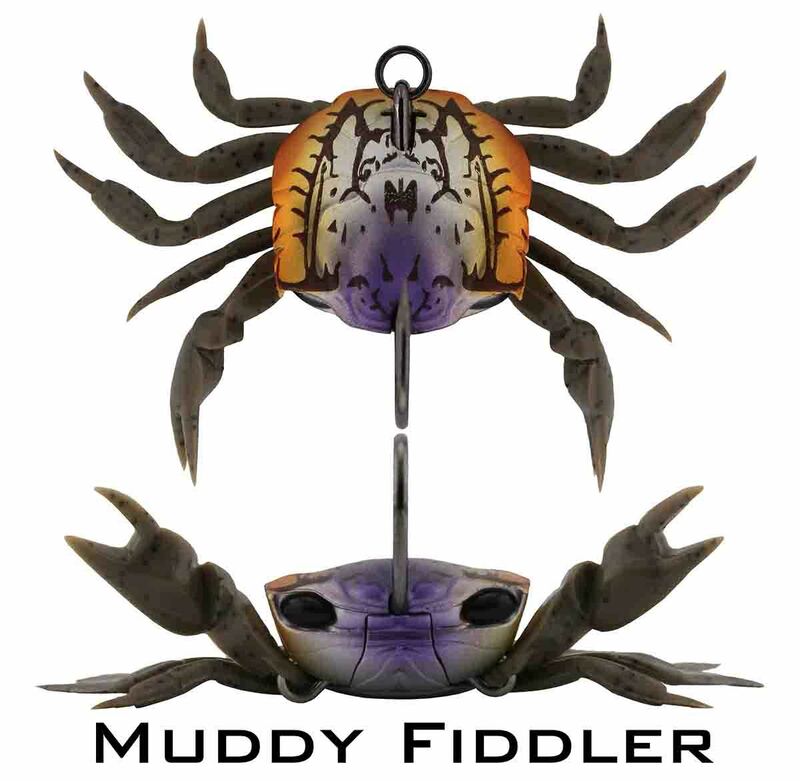 This unique modular lure design allows for countless different Crab colour combinations to be created and allows the user to easily change every component in the lure, from the hook, to the legs, to the claws with ease. 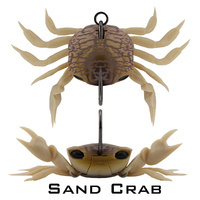 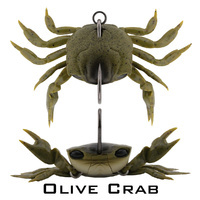 Real Defensive Crab Action in Water - Raised Floating Claws - Enticing Naturally Moving Claw Motion - Claws Move Naturally with the Slightest Water or Lure Movement - this Natural Defensive Crab Claw Movement Effectively Breaths ‘Life’ into our Crab lure helping you fool the toughest of fish species!... 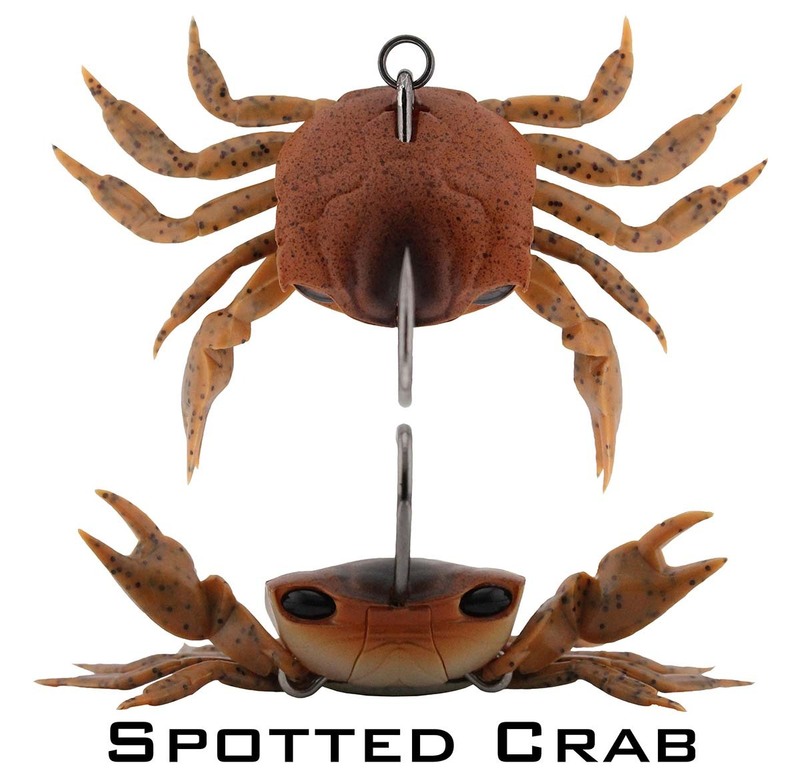 an interchangeable, solid, razor sharp, 2X wide gape, 4/0 custom built, cutting point, black nickel hook… tough, resilient 100% interchangeable design floating claws that accurately replicate the look and actual natural range of motion of a real Crabs claws… 100% interchangeable tough, durable soft plastic legs! 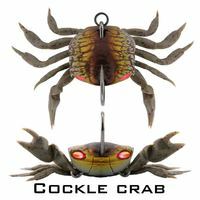 85mm (3.35 inch) Across the Legs. 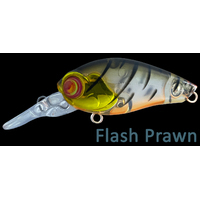 30mm (1.18 inch) Shell Width. 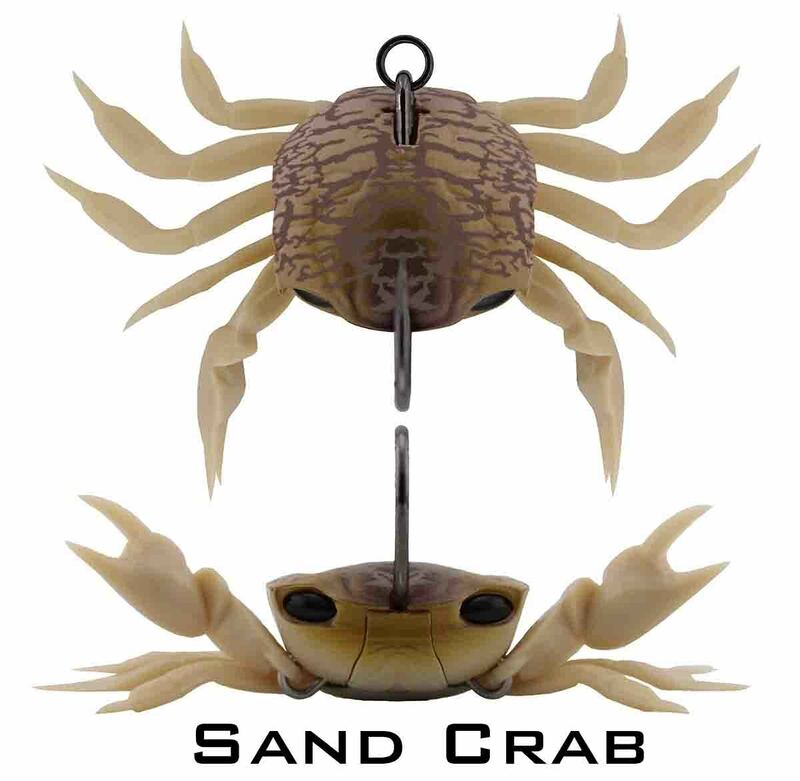 Real Defensive Crab Action in Water - Raised Floating Claws - Enticing Natural Moving Claw Motion - Claws Move Naturally with the Slightest Water or Lure Movement - this Natural Defensive Crab Claw Movement Effectively Breaths ‘Life’ into our Crab lure helping you fool the toughest of fish species! 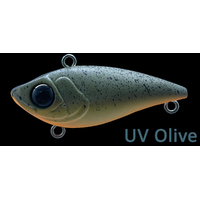 Strong, Durable, Resilient, Naturally Moving Soft Plastic Legs. 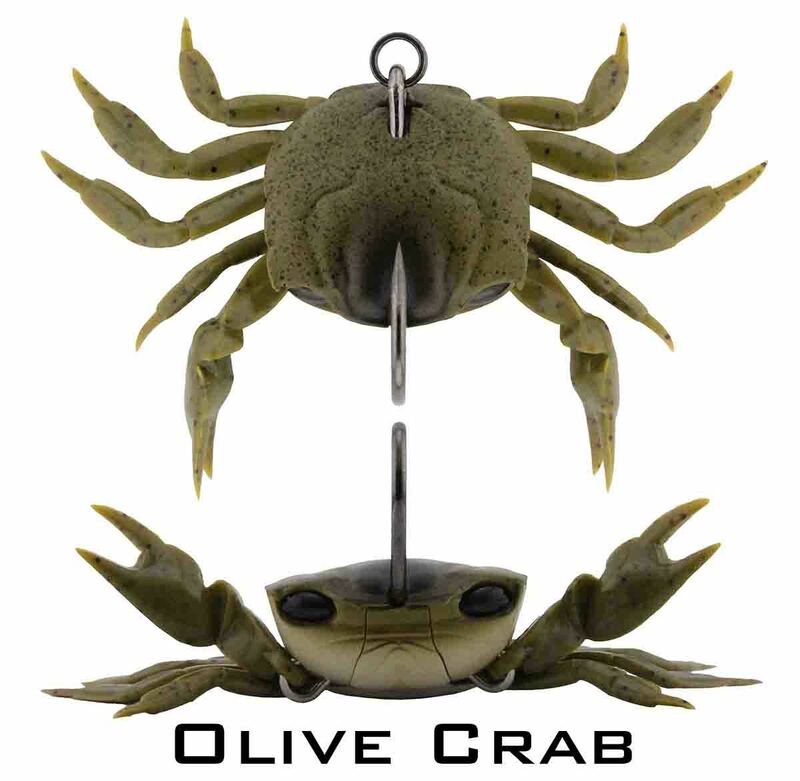 Strong, Durable, Resilient, Naturally Moving Soft Floating Claws. 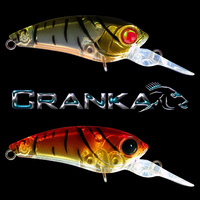 Fishable Depth 0 – 130ft. 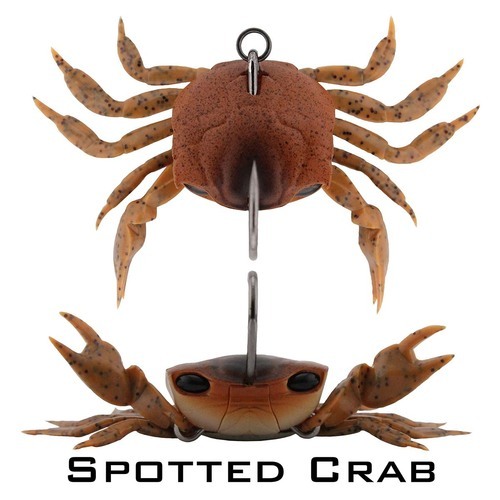 Initially Available in 8 x Very Lifelike Natural Crab Colours.